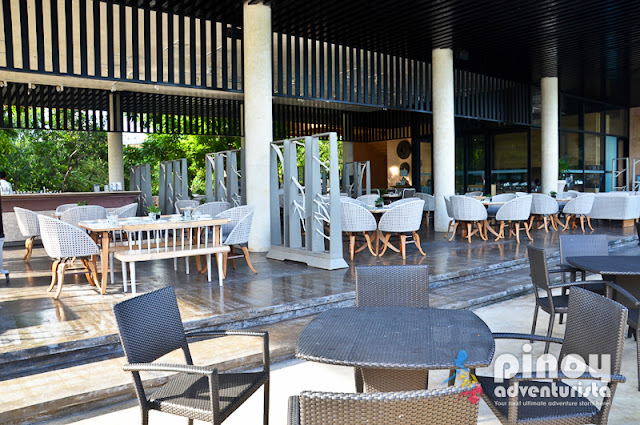 Saffron is Amorita Resort's all-day dining restaurant. It takes pride as the only restaurant in Bohol offering a thoughtful reinterpretation of authentic Boholano heritage dishes alongside a wide range of Continental, Asian and Filipino food favorites. 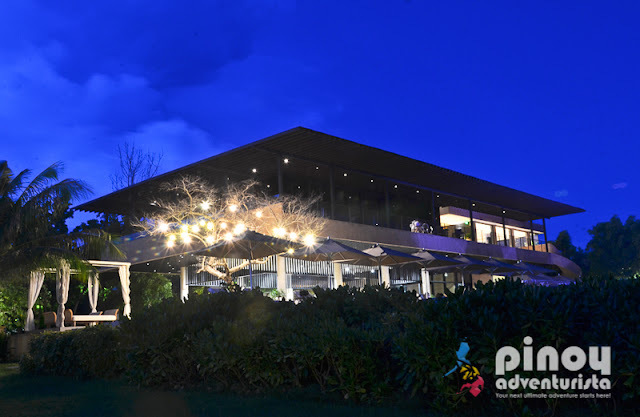 Their all-day menu developed by Chef Paeng Ongchiong, showcases fresh and locally produced ingredient which makes their dishes more interesting. Located adjacent to Amorita Resort's infinity pool, Saffron Restaurant is classy in its physical space. 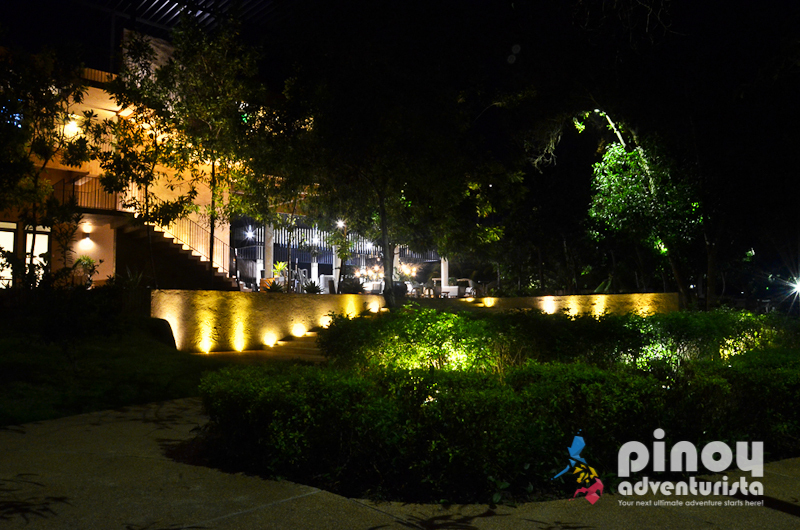 Upon arrival, I was instantly impressed with its very welcoming and fresh ambiance, which feels homey and exudes an elegant feel. The restaurant incorporates modern organic design themes and elements with the use of Philippine marble table tops, and hand-carved driftwood or all-weather woven furniture by internationally-acclaimed Filipino craftsmen giving the restaurant stylish interiors with an island resort feel. 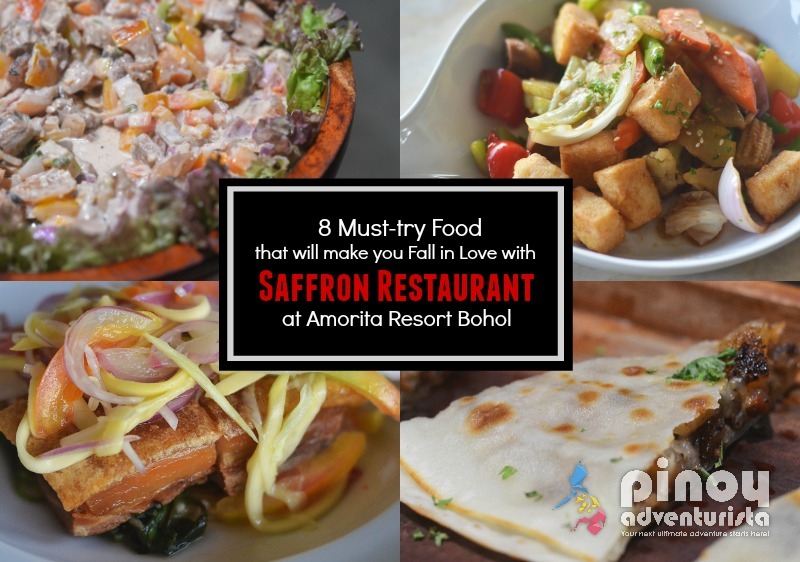 During our 2-night stay at Amorita Resort in Panglao Bohol (Check discounted rates online), we were treated with some of Saffron Restaurant's sumptuous and delectable dishes, from breakfast, lunch to dinner. Here are my personal favorites! Traditional flavors of sisig but with a different approach. Served in between freshly-made tortilla filled with thrice cooked pork marinated in soy and calamansi with flavorings of local vegetables, toasted chorizo de Bohol, mozzarella and kesong puti. Very tasty and flavorful! 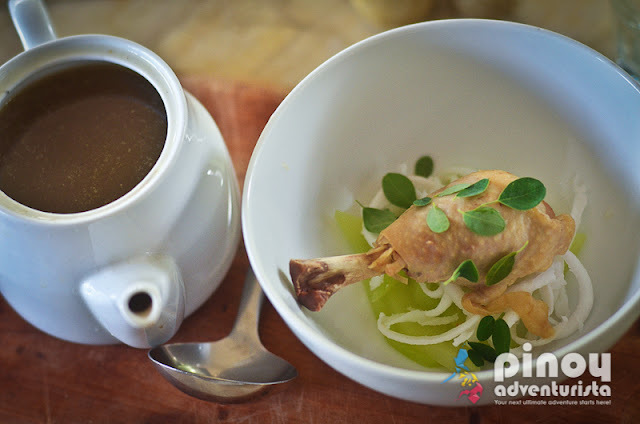 Clear chicken soup made by using coconut water and aromatics served with slow poached chicken, green papaya, shredded young coconut and malunggay leaves. The use of the coconut meat and coconut water for the soup makes this dish quite unique. One of my favorites! Roasted crackling pork belly (sort of bagnet/lechon kawali) and then set on grilled eggplant and sauteed shrimp paste (bagoong) topped with shredded green mangoes and fried garlic bits. 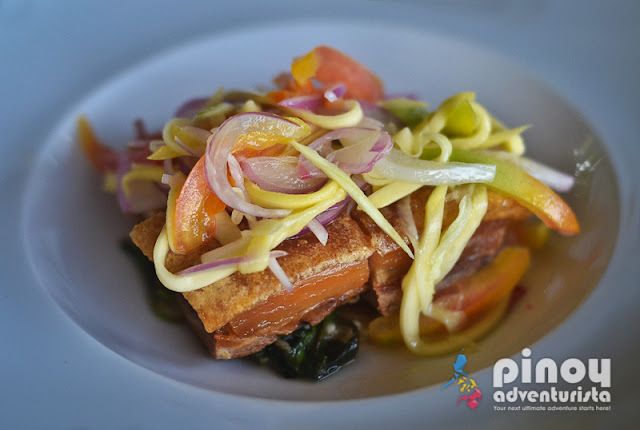 The sourness of the green mangoes and the saltiness of the bagoong perfectly complements the crispy pork belly. I really love this dish! One of the best binagoongan I've tasted. Do not leave Saffron Restaurant without trying Saffron Restaurant's super yummy Binagoongan! 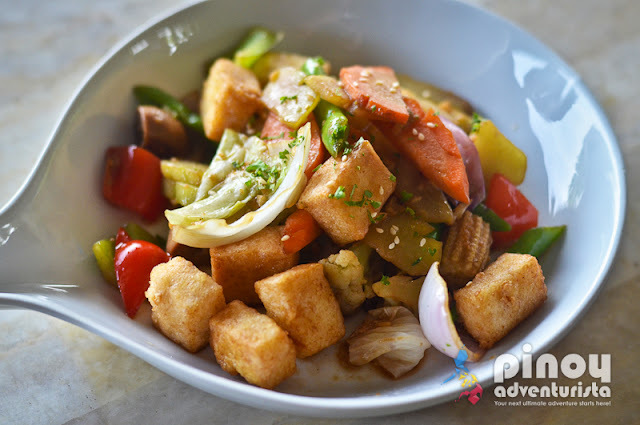 This dish has perfectly cooked seasonal vegetables and fried tofu mixed in garlic sauce. What I love about this dish is that the vegetables were not overcooked and you can really taste that they only used the freshest ingredients. Yummmm! 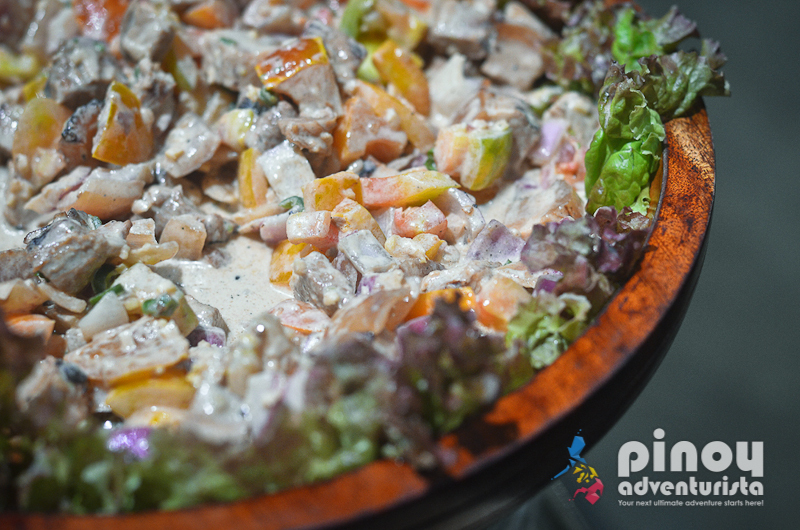 A classic Ilocano dish of chopped roasted pork parts, marinated in spices, spring onions, chili, tomatoes, ginger, salt, pepper, sugar, mayonnaise and calamansi. I loved Amorita Resort's version of Dinakdakan which is a bit spicy, tasty and well-cooked. 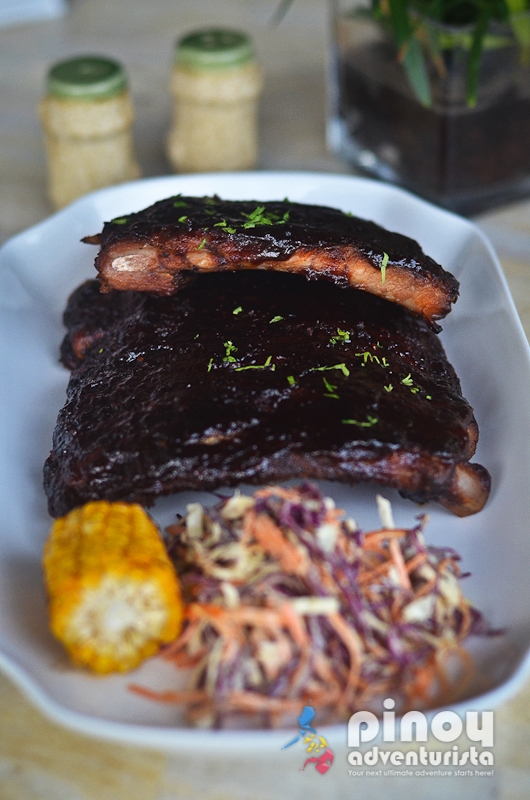 Huge grilled pork ribs generously glazed in Barbecue Pit Sauce or Shiner Bock BBQ Sauce and served with homemade coleslaw and grilled corn on a cob. Bursting with rich flavors, I love that the meat is perfectly marinated, very tender and falls off the bone. It pairs well with the coleslaw and corn in a cob. Yes, rice please!!! 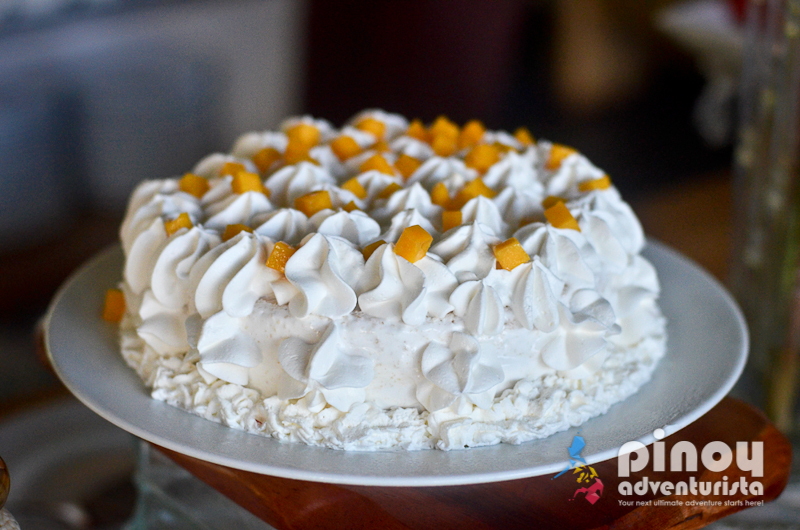 Mango milk-soaked vanilla sponge cake with fresh cut mangoes and topped with mango Chantilly. The inside is very moist and not too sweet. I loved it! Definitely a must-try to end any meal at Saffron Restaurant. This signature Turon of Amorita Resort is also one of my personal favorites. 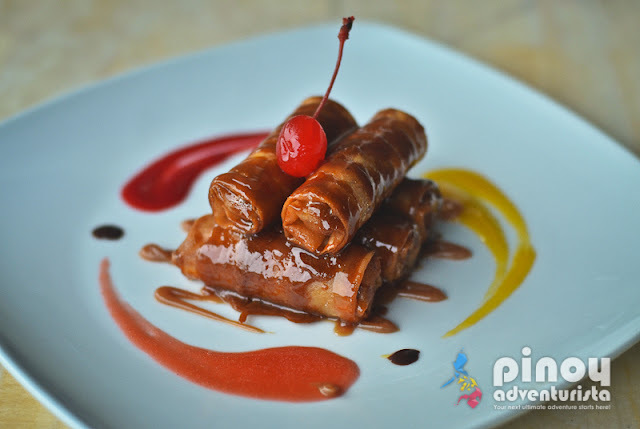 Perfectly deep fried and crunchy Banana Spring Rolls filled with homemade peanut cookies (perhaps the very popular Bohol's peanut kisses) and stewed Jackfruit slice and then drizzled with delectable salted caramel syrup. You can also enjoy it with a scoop of their homemade vanilla ice cream, but it's also quite good as it is. Saffron Restaurant certainly serves some of the most innovative Filipino dishes I've tasted. 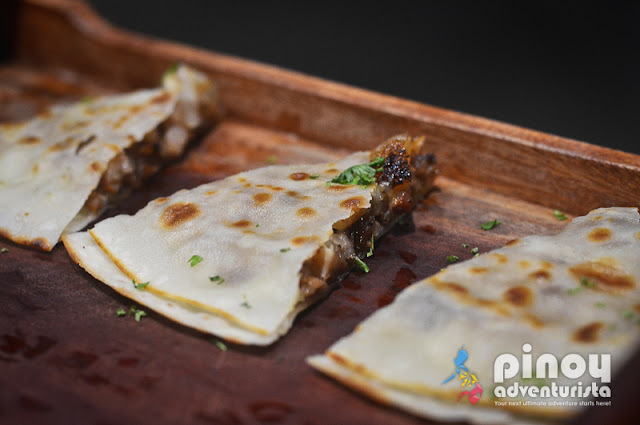 Their awesome take on Filipino-Boholano comfort food with an "Amorita twist" are guaranteed to please the palate of any foodie's most discriminating taste. Saffron Restaurant's carefully-crafted dishes made from the freshest quality ingredients will surely make you crave for more! 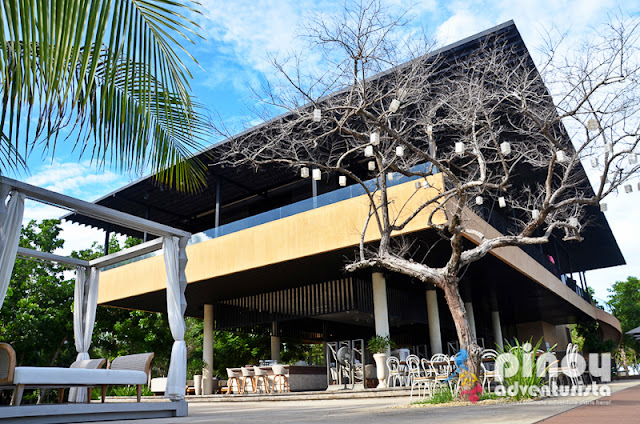 So, if you're looking for a restaurant offering true taste of what the island has to offer, with a twist, check out Saffron Restaurant at Amorita Resort in Panglao, Bohol! AirAsia Philippines flies daily to Tagbilaran City, Bohol. Promo fares are available at www.airasia.com for flights to/from Manila, Cebu, Davao, Tagbilaran/Bohol including flights from Cebu to Puerto Princesa/Palawan and Manila. This is part of our 3-day vacation at Amorita Resort in Panglao Bohol last June 27-29, 2016. Thank you Amorita Resort and AirAsia Philippines for inviting us! We truly had a memorable Bohol experience!